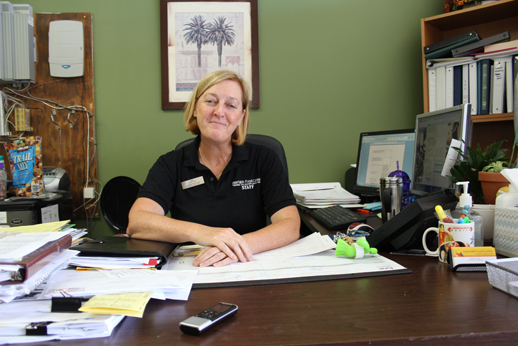 Interfaith Food Center Executive Director Amy L. Catt sits behind cramped quarters on June 28, 2013 at the antiquated office at 14545 Leffingwell Road in Whittier. The 20-year-old program feeds about 1,200 families every week and is moving to spacious digs in Santa Fe Springs with a grand opening planned for Aug. 21. 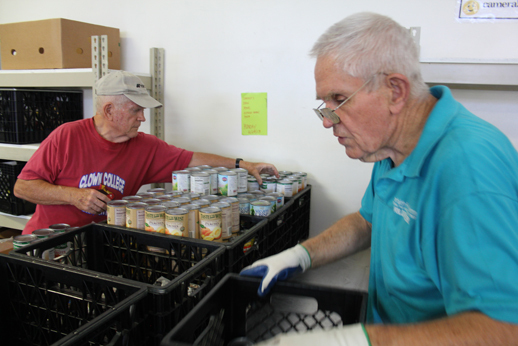 Les Straight, 76, left, and Roger Harris, 77, prepare canned goods for distribution to the needy at Interfaith Food Center in Whittier on June 28, 2013. Straight has volunteered at the center for 10 years while Harris has served for seven. The center provides food for about 1,200 families each week and is moving to a new, spacious location on Burke Street in Santa Fe Springs. 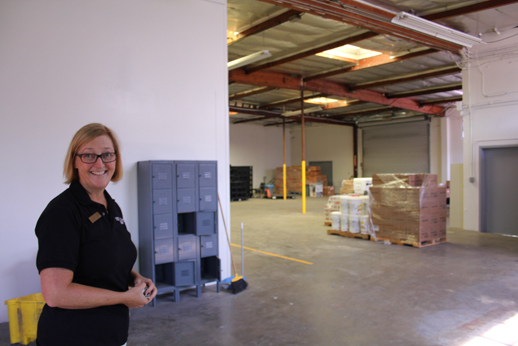 Amy L. Catt, executive director of the Interfaith Food Center, is all smiles showing off a new 4,600- square-foot warehouse in Santa Fe Springs on June 28, 2013. 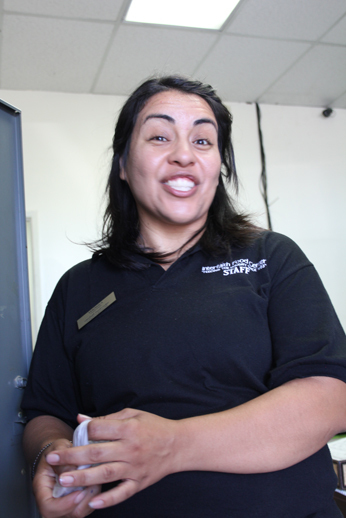 The center is relocating to Santa Fe Springs from cramped quarters on Leffingwell Road in Whittier and serves about 1,200 families each week. About 20 to 30 volunteers prepare meals for about 1,200 needy families each week at the Interfaith Food Center on Leffingwell Road in Whittier. 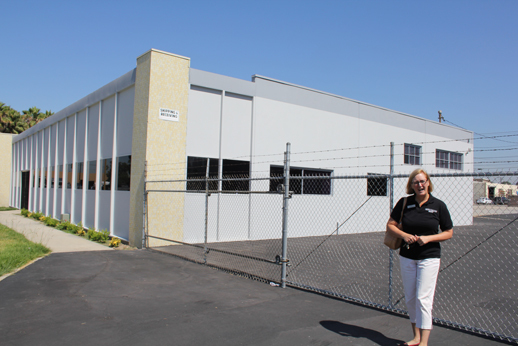 The organization is moving to Burke Street in Santa Fe Springs this month and workers are looking forward to more spacious conditions. 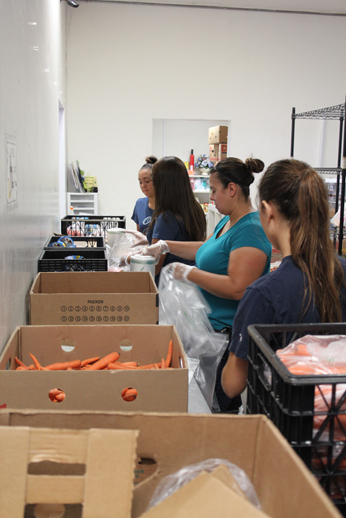 Volunteers unload a truck at the Interfaith Food Center on June 28, 2013. The center provides food for about 1,200 families each week. 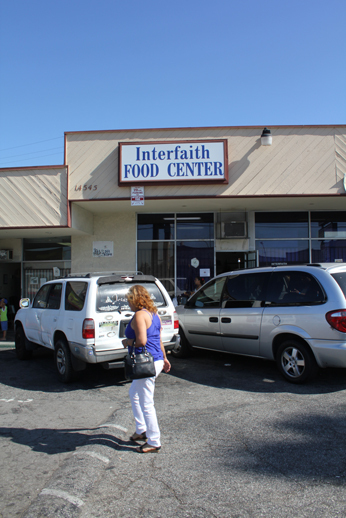 The Interfaith Food Center is moving from its small location on Leffingwell Road in Whittier to new spacious digs in Santa Fe Springs. The center feeds about 1,200 families every week.